Meet Sarah! One of the three yoga Teachers that will be offering classes at Thrive Collective. Sarah graduated in June 2015 with 200RTY Teacher Training. She has had the pleasure of teaching in the community for the past three years. Sarah will offer specialized classes for individuals struggling with mental health concerns, classes for relaxation and mindfulness, and classes of guided flow movement. Since 2009 Christie has completed over 1300 contact and non-contact hours of yoga training and education and has shared over five thousand hours of teaching. In May 2016, Christie became an RYT-500 certified Yoga Teacher under the direction and support of Christine Price Clark at the Vancouver School of Yoga. She is fortunate to have received guidance from many, many wonderful and wise teachers along the way; the underlying message in every teaching she has ever received has been that of humble reverence for Self and for life. She is eternally grateful to all of her teachers for sharing their passion for yoga and love of life. Christie teaches in a way that emphasizes skill in action; everything offered in a given class serves a purpose and is taught in order to educate students on how to move their body's skillfully. In doing so, students are afforded the opportunity to experience a broad spectrum of their potential. Christie truly aspires to help people rediscover their inner light, that once found, can never again be lost nor forgotten. Candice has been practicing yoga for over 20 years and is grateful to have begun her teaching practice in 2016. 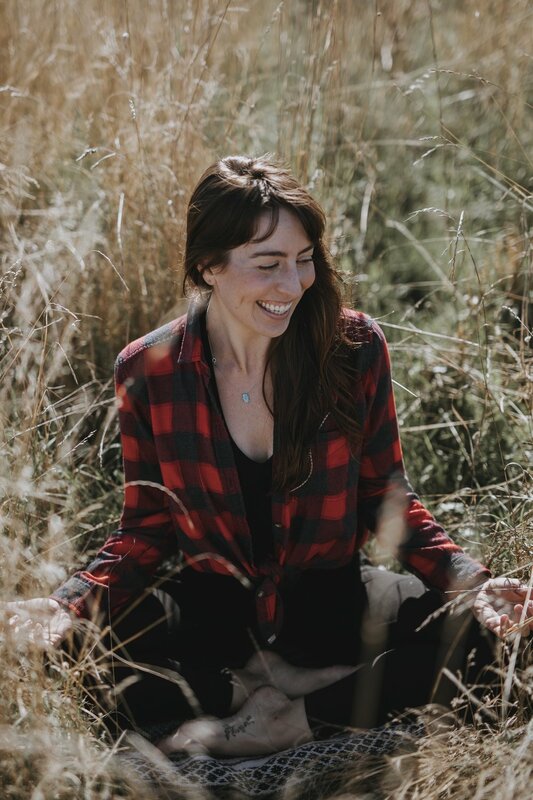 Her love for helping people connect with yoga where they are at has lead her to offering her teachings in a variety of modalities such as chair, therapeutic, and trauma informed yoga. During summer 2018 she travelled to Bali to continue her education with Yogafirst, studying yoga of the feminine as well as her Swing Yoga teacher certification. She is a 500 RYT through Yoga Alliance and continues to explore her passion to make yoga accessible to everyone while completing her 800-hour Yoga Therapy diploma through Ajna Yoga College in Victoria, B.C. Through gentle guidance and compassion (plus, a little mirth) she endeavours to meet clients where they’re at in order to help empower them on their path in the self-realization of their own healing through awareness of their body, breath, and mind.